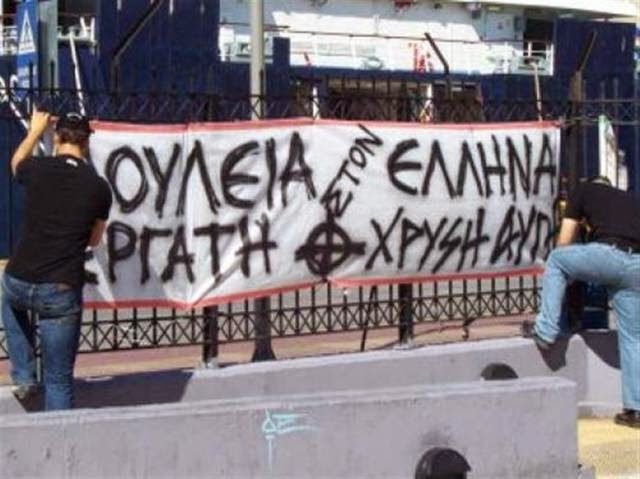 We are talking about the reaction of Communists caused by the latest meetings of Golden Dawn MPs with the workers of the ELFE and KAVALA OIL industries. 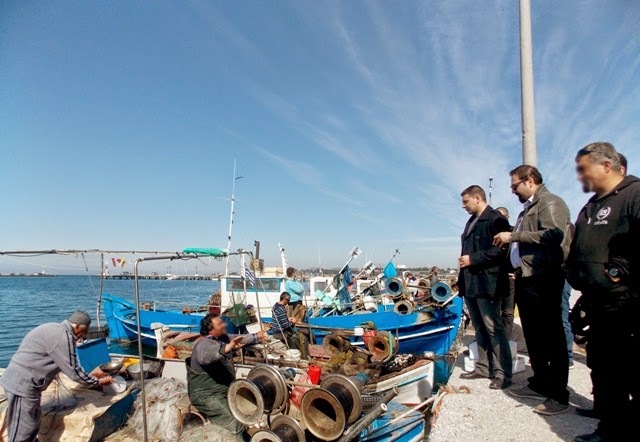 Before those meetings, GD had already met with the workers of the Athenian shipwrights, the syndicates of public and private transportation companies, the syndicate of the street market vendors (that applauded GD's initiative against the smugglers) many fishermen unions and others. The following pictures are from some of those meetings. "The Communist Party of Greece had timely pointed out to the administrators of the syndicates in ELFE and KAVALA OIL that they are held responsible when they are appealing to the parliamentary character of the GD's MPs. 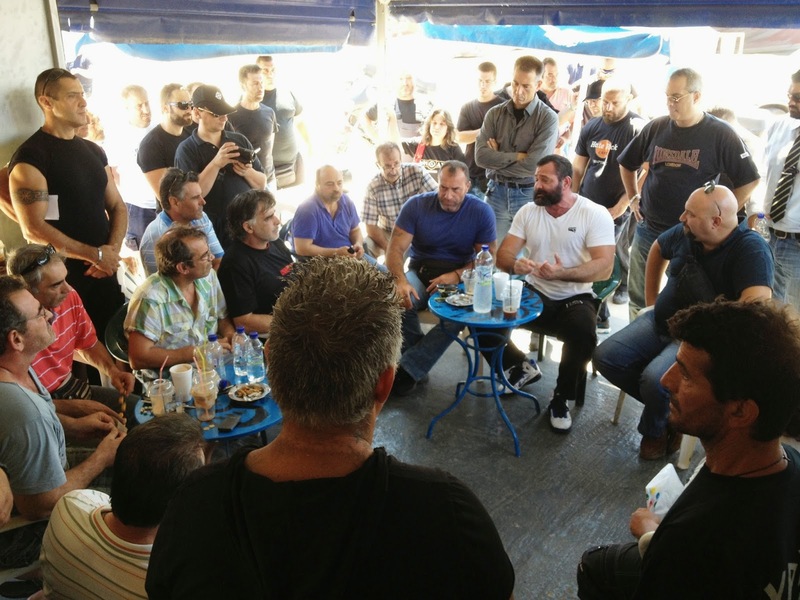 We call the workers of ELFE and KAVALA OIL to step ahead in the fight for their rights. 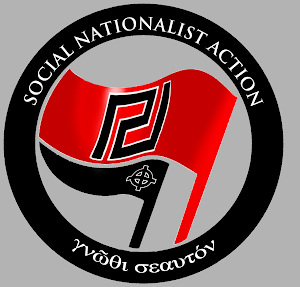 They should strive to isolate the fascist Golden Dawn. 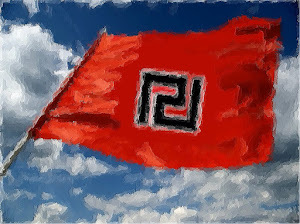 They should denounce those that agree to open talks with the nazis!" P.S.1: Unfortunately for the reds, the proletariat DOES have a homeland and they just discovered her. P.S.2: Don't worry, you still have some workers from Bangladesh and Africa left to fill your ranks. "Don't worry, you still have some workers from Bangladesh and Africa left to fill your ranks"
It's hard to turn "hordes" into nice and tidy "ranks" but hey, ya takes what ya cans. The purpose of war is conquest. Islam treats Muslim conquest as a form of justice. A failed conquest is an injustice. Try applying social justice to a mindset like that and what you're left with is Europe today. Since no Muslim should ever have to live under the unjust rule of infidels, there is always a cause for war and a fifth column waiting to rise up and demand their right to rule over everyone else. And the war is endless-- its origins written in blood on the pages of Islamic scripture.We need to get out of the EU then we can start to sort out these maggots with no more human rights or PC b*ll*x to get in the way, sending them back to France, lets face it, the French deserve them. Follow the way of the Japanese they will not let Muslims into the country to stay, they keep trash out, we need to do the same in Greece. But don't let facts get in the way of a good old left wing smear. Character assassination & unprincipled vitriolic dogma are the only left wing policy that never changes. They are only interested in oppressing & controlling the majority, until everyone slavishly accepts their warped amoral ideological dogma. GD are not racist, however, - they are just contemptuous & seething with vicarious offence from minorities who don't actually have an axe to grind themselves, but apparently need white middle class sandal wearing hippies/Commi's to take offence on their behalf. The left despise & vilify everybody equally who refuses to surrender to their dogma. Greece should be an example to everyone as to how irresponsible, ideologically Zionist driven government can ruin a country. Many governments in the world are overburdened with debt for many of the same reasons.Burn the IMF, EU central bank. and the federal reserve to the ground to break away from Zionism slavery across the globe, I am pretty sure Benjy Nutty yahoo and Hitler are long lost brothers in arms against humanity.Zionism is the strict control of money on this planet. 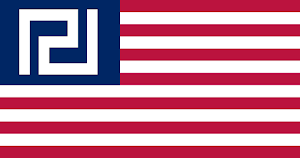 This is the satanic union between the Stolen Land and the Euroworld money fraudsters.One can see that Zionists are not just killing innocent children in the open air concentration camp called Gaza but also innocent civilians in Greece and the rest of the world the plague of Zionism needs a cure. Jesus was alive today the jews and the left would call him a facist or a nazi because he pointed out the jews misdeeds. Need to focus on jew bankers and the propagandist journalist wing to make an impact.